A 14-month-old girl was hospitalized after falling onto commuter train tracks in West Philadelphia. 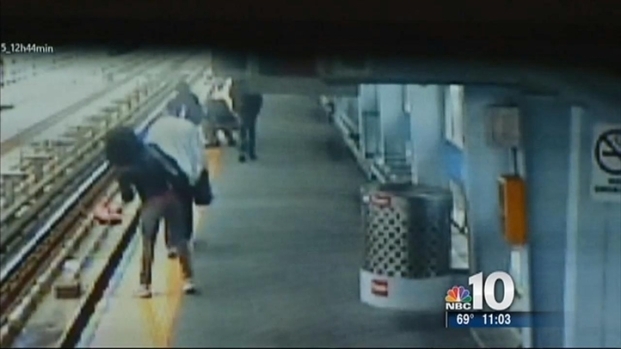 Surveillance video shows a woman on the platform with her daughter in a stroller at the 56th Street SEPTA station around 1 p.m. Wednesday. Suddenly, the stroller slowly rolls toward the eastbound track and topples over. "What it looks like to us is that the mother became distracted by something, didn't apply the brake on the stroller and the stroller was able to move off the platform and onto the tracks,'' said Scott Sauer, director of system safety for SEPTA. The stroller came to rest on the outer rail, which carried no charge. The woman jumped off the platform to free the baby and hand her off to a man standing on the platform above. As the mother rescued her child, another woman ran to an emergency call box and hit the button, alerting SEPTA controllers of the incident. A 14-month old baby miraculously escapes serious injury after her stroller goes over a SEPTA platform and she falls onto the tracks. NBC10's Chris Cato has the story. The controllers then alerted an approaching train that was only one station away. If the woman had not pressed the emergency button, the mother and her child could have had less than a minute to get off the tracks before the next train arrived. 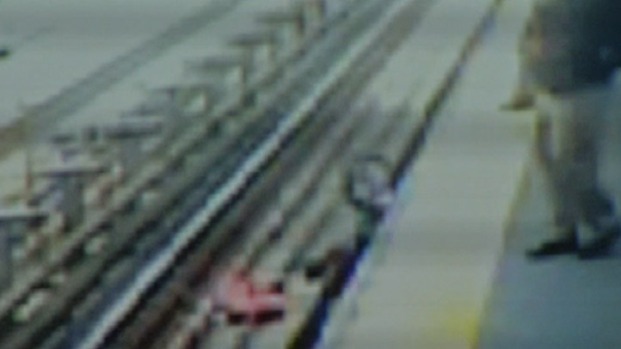 Police say another good Samaritan hopped down the tracks to help the mother up. The child was taken to Children's Hospital of Philadelphia for treatment of a cut on her forehead but is expected to be okay. "With the stroller moving at such a slow rate of speed, you know, you want to call out to someone, 'Hey, the stroller's moving! Somebody grab the stroller,''' Sauer said. SEPTA police said no charges will be filed but the accident serves as a reminder for other riders to lock stroller brakes when waiting on platforms. 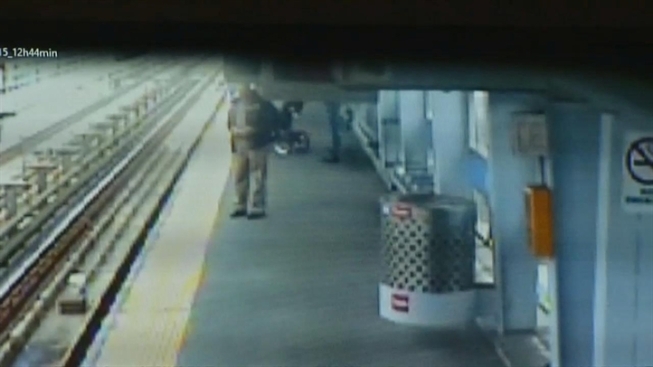 A 14-month old girl is recovering after her stroller fell onto the tracks at a SEPTA station. Surveillance cameras rolled as her mother rescued her while Good Samaritans helped. NBC10's Chris Cato has the details.